There is no such thing as a perfect materiality analysis. Certain choices in the methodology can be debatable, as, for example, privileging a specific point of view or stakeholder group (e.g. investors) over others. Although they might generate some limitations in the analysis, those choices are legitimate, as reflecting the strategic stance and approach of the company. The internal (e.g. with the board) and external (e.g. with stakeholders, auditors) debate around them is even beneficial to the organizational learning triggered by the materiality assessment. This article is not about the choices described above. Rather, about major procedural and methodological errors - the seven deadly sins of a materiality analysis - that would prevent the assessment from being robust, reliable, and, most importantly, credible to internal and external audiences. This article will highlight such major mistakes. They are not in any particular order, but they are often related and reinforce their biasing effect on the overall quality of the final materiality analysis. Read also: "Materiality Definition: The Ultimate Guide"
​Sin One: Elusive or vague definition of the issues analyzed. A materiality analysis consists of a collection of issues assessed across different internal and external stakeholders groups. Defining and communicating a clear definition of the scope and boundaries of each of the issue included in the analysis is critical to the overall quality of the assessment. It is very common to find in a materiality analysis issues labelled as “compliance” or “management of legal and regulatory environment “. Take a moment and think again about it: those issues are stating the obvious - a company has to comply with regulations. In what scenario compliance to legal requirements would not be highly material? From the perspective of a bank, for example, compliance to water pollution requirements is less material compared to compliance to data protection requirements. It would be more insightful, then, to analyze regulations as representative of the stakeholders public administration, government, or politics and assess on what issues they focus more. ​Sin Two: Overlooking the relationship among the different issues. This sin is strongly related to Sin One. If you decide to include a high-level, broad issue in your analysis (e.g. innovation and digitalization) and then you also include a more specific issue belonging to the domain of the broader one (e.g. blockchain), you will need to take into account that a relationship exists between the two issues. In practical terms, you’ll need to clarify that, for example, the issue “innovation and digitalization” does not include “blockchain”, as the materiality of the latter is analyzed on its own. ​Sin Three: Misrepresentation of the dimensions plotted on the axes. Sin Four: Lack of transparency on the tests applied to define materiality. In order to be robust, a materiality analysis should be backed by data, and the evidence gathered should be used to prove that each issue has material implications for the company. There are different tests that can be carried out to prove an issue materiality. For example, SASB adopts a test based on three components: evidence of interest, evidence of financial impact, and forward impact adjustment. Providing details on what tests have been applied to determine issues materiality is key for the analysis’ robustness and credibility. Sin Five: Materiality analysis is confined to the reporting exercise. It is true that the materiality assessment defines the boundaries of the topics that should be covered in your sustainability or integrated report, but that is not the sole purpose of the analysis. In other words, if your assessment is siloed in the reporting teams (in some cases with the support of consultants) with small or non-existent involvement of other key teams (risk management, governance, strategy, marcomms) and, more importantly, board oversight, it will not become a decision making tool contributing to corporate strategy. 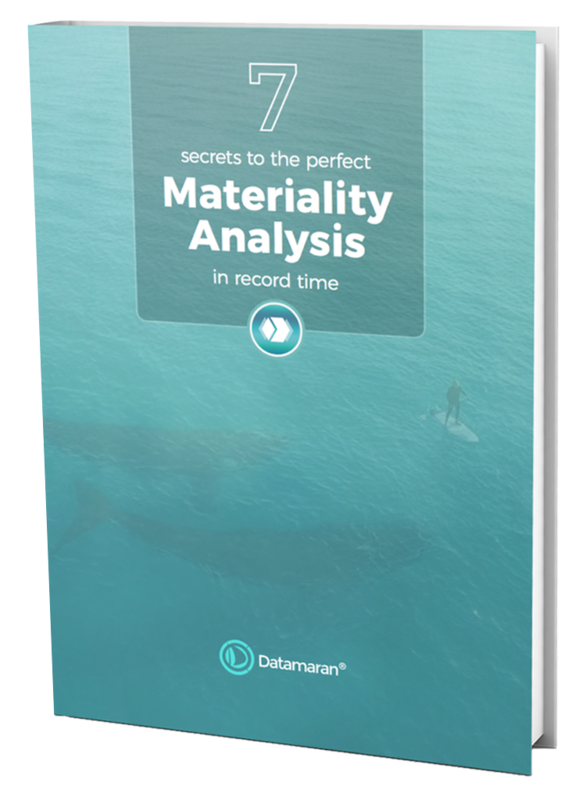 Without an integrated approach involving the key components of your organization, materiality analysis will not trigger the right questions concerning risks, opportunities, impacts and its informative value will be substantially limited. Sin Six: Stakeholder engagement is your only source of data. Materiality assessments rely heavily on stakeholder engagement processes, such as workshops or roundtables. Although useful to create and maintain a relationship with the closest stakeholders groups, those engagement activities provide anecdotal evidence that is not sufficient alone to prove the materiality of an issue. Stakeholder surveys provide quantitative data, but they are rarely analyzed through solid statistical techniques. As a consequence, the results of your materiality analysis may be biased and misleading. For example, all the issues in your analysis may be indicated as material, going against the primary purpose of the assessment itself, which is identifying what is important and what is not. Not by chance, scholars and experts in the field agree that more robust quantitative methodologies are necessary as materiality considerations become more integrated in the strategy making and risk assessment processes. One of them is Liad Ortar of the University of Haifa, who suggests a quantitative methodology to develop the materiality matrix. Beyond stakeholder engagement, there is a larger universe of publicly available information representing stakeholder voices that can be analyzed - corporate filings, news, social media, policy maker initiatives and regulations, NGO white papers and campaigns, investors position papers, market authorities codes. ​Sin Seven: Your analysis is a project and not a process. Most materiality assessments are three to six months projects carried out every two or three years. When the project is over, the assumption is that the issues identified won’t change until a new materiality analysis is run. Is this analytical approach adequate to the modern fast moving business landscape? The answer is no - indeed after a larger and heavier materiality project, many organizations tend to carry out a lighter materiality “refresh” the following year. As a consequence, the consistency of the overall corporate approach to materiality is affected, making it impossible to build reliable year-on-year comparative analysis, or a trend analysis that might predict emerging risks and opportunities. Start re-designing the activities around the materiality assessment thinking at it as an ongoing process regularly generating key insights for internal decision making, rather than a project carried out episodically to comply to reporting guidelines (you can read more on why materiality is a process and not a project here). These seven sins pave the road to materiality analysis hell - i.e. being a mere glossy matrix visualization in your report. With reporting on ESG issues becoming mandatory, the level of robustness expected by key internal and external audiences (i.e. the board, investors, large clients) from your materiality analysis is significantly higher than before. In other words, materiality has changed: rather than being a mere reflection of stakeholders opinions, materiality is expected now to be data driven, duly explained and documented, connected to risk factors and opportunities.